Alex's Lemonade Stand Foundation (ALSF) has awarded the UC Santa Cruz Genomics Institute an innovation grant of $250,000 over two years to advance research on two groundbreaking approaches for identifying treatment options for children with neuroblastoma. "Neuroblastoma is one of the most enigmatic pediatric cancers," said postdoctoral scholar Olena Morozova, project lead for the Treehouse Childhood Cancer Project at the Genomics Institute. "Despite extensive studies of patients' tumor DNA conducted by the NCI's TARGET initiative and others, we still lack treatment targets for the majority of high-risk neuroblastoma patients." One approach the project is pursuing explores whether data collected from neuroblastoma patients can be harnessed to identify therapies that will use the patient’s own immune system to fight the cancer. David Haussler, scientific director of the Genomics Institute, explained that such approaches have led to lasting remissions in cases of metastatic melanoma and other adult cancers, but so far have had limited application in children. "The low toxicity of an immunogenomic approach makes it ideal for children, if it can be made to work," Haussler said. "We are doing an intensive study of how cancer cells reveal to the immune system that they are different from normal cells. If we can identify specific molecules that make cancer cells distinguishable, then new immunotherapy methods used in adult cancers might be used to train a child's immune system to recognize and eliminate the cancer." A second approach involves analyzing tumor genomes and their mutation pathways to identify instances where a child's cancer is genomically similar to a treatable adult cancer. "Through this approach, we may find instances where treatments developed for adult cancers can be used in children," Morozova said. This method employs a pan-cancer analysis comparing an individual child's neuroblastoma tumor genome with other pediatric and adult tumor genomes of all types. Morozova uses genome data from tens of thousands of tumors collected in the UC Santa Cruz Cancer Genomics Hub, the largest collection of cancer genomes in the world for general research use. Discovering genomic profiles and genetic pathway changes that are similar between adult tumors and neuroblastoma samples can suggest candidate drugs for treating individual neuroblastoma tumors. "For example, if a child's neuroblastoma tumor is predicted to depend on the same genetic pathway change as certain adult breast cancers, targeted therapies against this pathway in breast cancers could potentially be repositioned for use against that child's cancer," Morozova explained. This project has the benefit of a close connection with a leading pediatric oncologist, John Maris at Children's Hospital of Philadelphia. "Dr. Maris is an expert in early-phase clinical trials for high-risk neuroblastoma patients. He is partnering with us to test the applicability of personalized immunotherapy approaches in this disease," Morozova said. Maris and his colleagues have assembled the world's largest collection of neuroblastoma cases, and this project will be able to use that data to test UC Santa Cruz's bioinformatic predictions. ALSF Innovation Grants are designed as seed funding for researchers with cutting-edge approaches to pediatric cancer research. ALSF carefully selects innovative projects having the most substantive and critical contributions to the field of childhood cancer research and that are likely to play a part in bringing the latest, most promising life-saving treatments to seriously ill children. 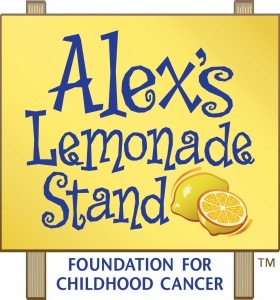 Alex's Lemonade Stand Foundation emerged from the front-yard lemonade stand of cancer patient Alexandra "Alex" Scott (1996-2004). In 2000, 4-year-old Alex announced that she wanted to hold a lemonade stand to raise money to help find a cure for all children with cancer. Since Alex held that first stand, the foundation bearing her name has evolved into a national fundraising movement, complete with thousands of supporters across the country carrying on her legacy of hope. To date, ALSF, a registered 501(c)3 charity, has raised more than $100 million toward fulfilling Alex's dream of finding a cure, funding over 500 pediatric cancer research projects nationally. Much like ALSF, the Treehouse Childhood Cancer Project was inspired by another little girl's battle with cancer. In 2012, the daughter of a staff member at the UC Santa Cruz Genomics Institute, Aurora, was diagnosed with neuroblastoma. Morozova, Haussler, and the team at the Genomics Institute decided to create the Treehouse Project to apply their expertise in genomics and bioinformatics in the quest to find new treatments for childhood cancers. To honor the successful treatment of Aurora's cancer, the UC Santa Cruz Genomics Institute hosted an Alex's Lemonade Stand event that raised over $12,000 for ALSF, becoming one of its top fundraisers in 2014. "We are thrilled to receive this grant from ALSF as one of the first sources of support for our newly established pediatric cancer efforts," Morozova said. "This grant will allow us to investigate novel forms of therapy for high-risk neuroblastoma. We hope to expand our efforts to other childhood cancers very soon."